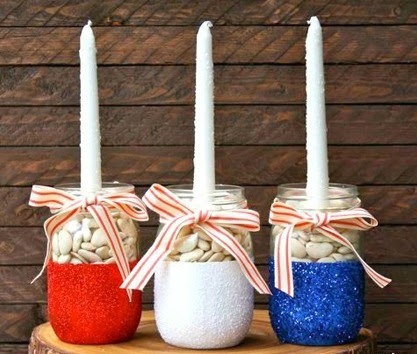 Star-Spangled DIY Ideas to Use Mason Jars for Your 4th of July Decor ~ Great crafts for adults and maybe some kiddos also. 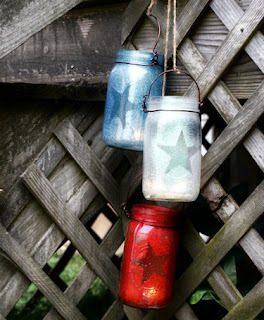 While you can definitely use these littered jars to light the night, why not opt to showcase them at the entrance to our backyard party. Simply adhere a star sticker to the jar, spray paint the jars in random fashion, remove the sticker and add a tea light. 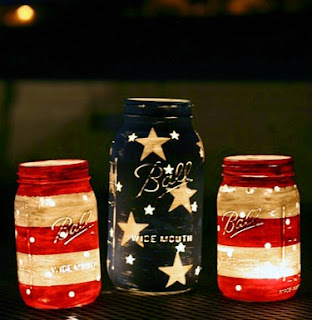 If you're inspired by these lanterns, then you'll be even more surprised by how easy they are to make. Paint, tape, stickers start the job, but it's sandpaper (rubbed lightly around the jars) that gives them a distressed look. Paint, glitter, and lima beans turn these Mason jars into must-have centerpieces that are pretty enough to use all year long. 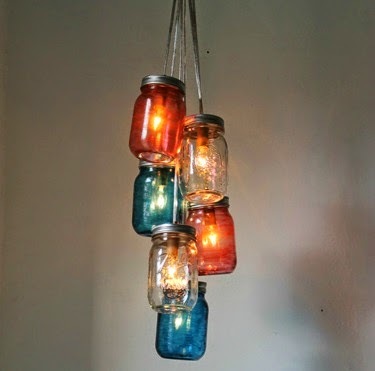 Consider this ideas in different hues for different seasons. If you've never tried coloring rice before (and it's really easy! 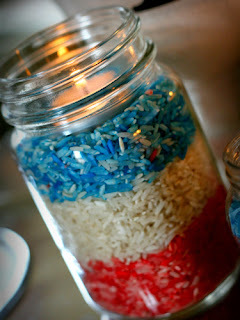 ), consider trying a cluster of these as your centerpiece.Great, easy and fun craft for the kids! Love these for the 4th of July......BUT you can make this clustered chandelier in seasonal hues to hang all year!